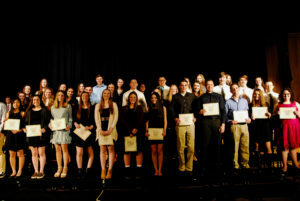 The Wantagh School District is proud to announce that 171 high school and middle school students were inducted into the World Language Honor Societies for French, Italian and Spanish. In addition, Cerena Lopez (AP Italian and Spanish), Brianna McCartney (Spanish), Erika Meagher (French) and Diana Putrino (AP Italian and Spanish) were senior department award winners for having excelled in their chosen languages. Prior to the World Language Honor Society inductions, the district hosted World Language Week in March. Each day, students had ample opportunities to attend and participate in language-based activities to hone language skills and to show appreciation for one another’s cultures. Some of the activities included Latin dance, the screening of “Coco,” a seventh-grade Flip Grid digital French pen pal exchange, an Italian and Spanish symposium and Le Grand Concours examination to test language skills in French. 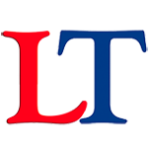 “World language study is an opportunity to heighten and foster social responsibility and a better understanding of global issues,” said Supervisor of World Languages, ENL and Business Education Pat Calosso.